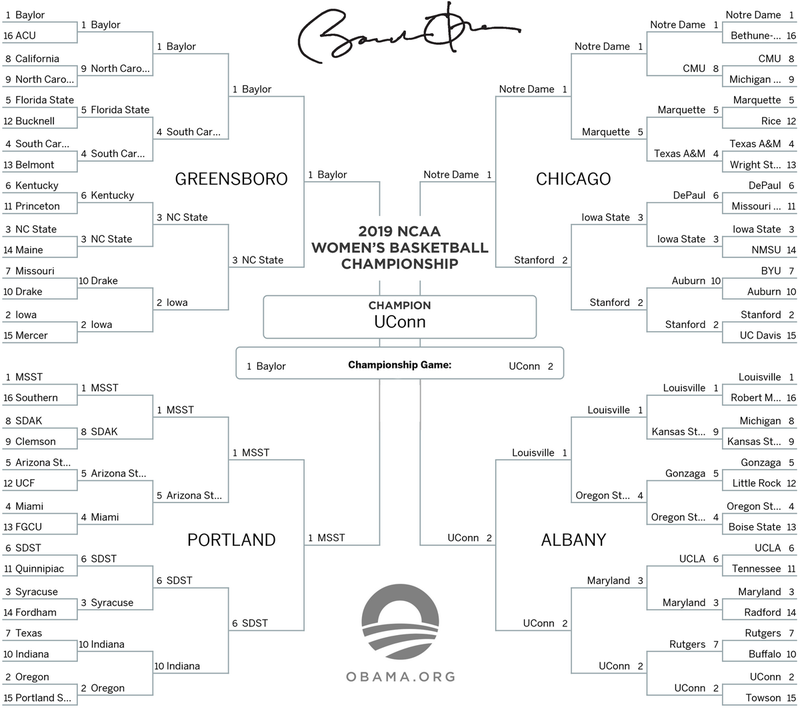 Following up on a tradition he started during his two terms in the White House, former president Barack Obama filled out March Madness brackets and posted his predictions on Twitter. Notably, he has No. 1 seed Louisville losing to the No. 2 seed, UConn in the Albany Regional to reach the Final Four. Louisville beat UConn in late January 78-69.